Got an immediate crash of Umfcd after starting it up. Don't even get the chance to set logging on. -Edit- I found the logs anyway but i'm wonder where i can add them here. 2.6.0 worked ok as long as you didn't exited the mission as i said on twitter so. So i guess some changes you made were (on my end) not so good. As in crashes as soon as you launch the uMFCD exe? As in it crashes as soon as i launch uMFCD. Yes. What does the Windows Event Log say? There's a simple explanation: The Zip is missing one file. I found uMFCD logs, so they were made. I could mail them. Don't have webspace to post them here. will that help? Re-download and try again. Fixed the Zip file. Works like a charm again. No crash on exit mission. On my end I was beginning to question my own eyes, whereas other people were reporting no FPS issues at all. Noted another little error. When exiting an mission and get into another (or even just refly a mission) all uMFCD screens are gone. So it looks like it only works in the first flight you do. I never had framerate hits to start with, guess i'm lucky since i almost never ever had problems with uMFCD. Yep. Aware of that and still looking in to it. Again, it seems to break sporadically. And it's not nagging - problems need to be gone! Seams to work in both DCSW 1.5.6 and 2.0.5 now. Good Work! No noticeable FPS drop between running with or without UltraMFCD for both DCSW versions, but no FPS increase either. But it's good enough. It was no excessive tests though, will do more when I get the time. Strange thing is, I can't really compare to the UltraMFCD version I have used for some time now, 2.5.6. It say "beta has expired". It did yesterday as well but it still worked then, but not now. I really would like to compare them side by side with same scenarios to see any FPS differences. Ask and ye shall receive. The old version should now be working again. I made a mistake when editing the deactivation system. So, did some more tests this evening. I'm surprised not getting higher FPS drop with 2.5.6, it gives me a drop of only 2-3FPS compared to without UMFCD, both DCSW 1.5.6 and 2.0.5 (2.0.5 the displays are exported only to the foreground of my main monitor, no other signs of UMFCD), the same as for UMFCD 2.6.2. I could have sworn I got a bigger drop before. Anyhow, the only difference between the two versions are that 2.6.2 work correctly in DCSW 2.0.5. Do you get a FPS increase when using UMFCD yourself? How big then? The 2-3FPS drop is a low price for the high quality Abris and Shkval though. Yeah. Back in the DCS 1.2.x days running uMFCD would actually cause an increase of in-game framerate. When we all moved over to DX11, I changed the strategy such that, as you correctly observe, quality is favoured over performance. This largely affects the Shkval and A-10C TGP - the very systems where a MkI Human Eyeball is still in the loop, looking for those pesky and tiny ground units. Due to recently-fixed errors in my code, certain users would experience their exported displays rendered at stupid-low FPS rates. It was "inexplicable" to me for ages... but then when you find the problem and go "AH HA! Baker, you moron!" it all makes sense. But the main "attractive" feature for most users, who don't have eighteen screens etc, is that you can enlarge the Shkval/TGP when needed - thus not having it obscure what would be "world-view" space on, say, a three-screen setup, let alone two screens or one screen. There are Bradley on picture, which are visible on external view. This is a change made by ED. No aircraft targeting pod/system updates in external views any more. You will see the same if you export displays manually. 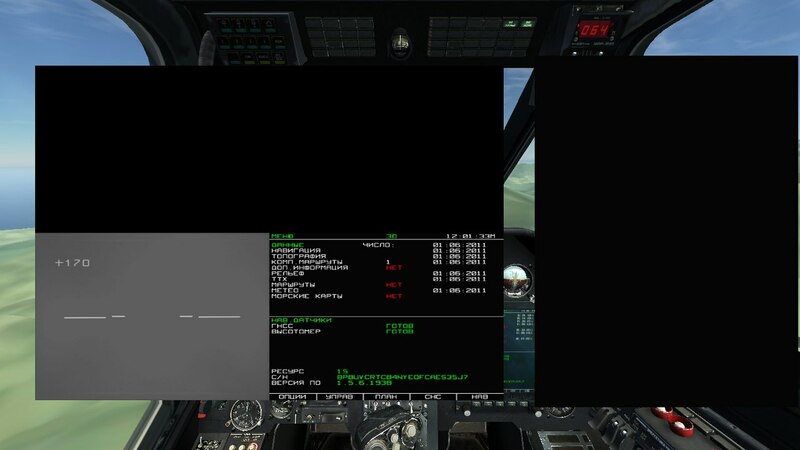 The text overlay will update, but the image will remain static until you re-enter the cockpit. I had already) had this post openned. If i make display + MFCD mode in settings, it will update then? Nope. It will behave in exactly the same manner whether you are using UltraMFCD or setting up exports manually. 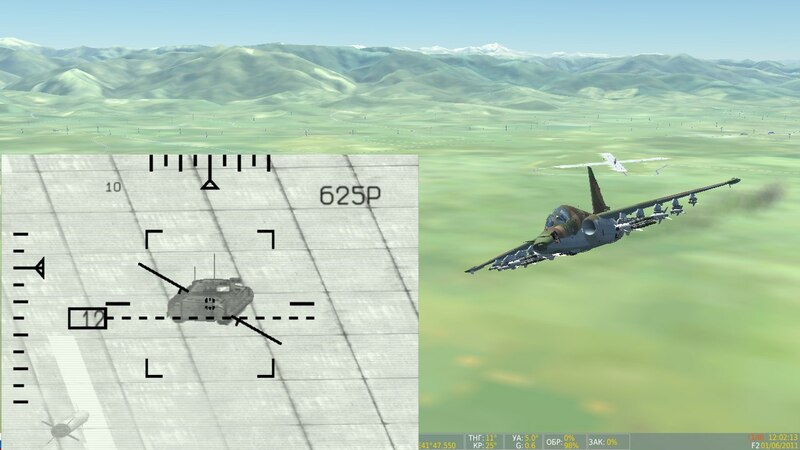 It's hard-coded in to DCS by Eagle Dynamics.